At Blinds Online, we know that no two homes are identical; which is why we specialize in producing high quality custom cordless window blinds. Cordless blinds are a convenient way to avoid tangling and mess, alongside the neat edges and detailing. They’re also child safe and an easier option for folks who may have disabilities and trouble gripping cords or chain controls. Browse our huge collection of cordless blinds now. You’ll be sure to find a great array of sun filtering blinds, contemporary panel track blinds, inviting basket weaved blinds and more. So, if you’re interested in the finest custom made cordless blinds, then look no further than Blinds Online. Shop our range now! Why Choose Cordless Window Blinds? Picking a cordless window blind for you home is a great way to reduce the risk of danger in your home if you have pets or children. If unattended, the cord on your blinds can create a choking hazard for the littlest members of your family. Additionally, cordless blinds create an uncomplicated look that streamlines the style of the room you're planning on decorating. 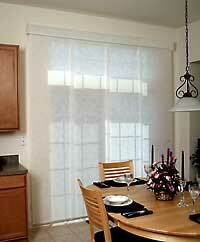 Instead of the eye being drawn to the cord, they look at the beautiful blinds you've chosen for your decor. Please Note: Make sure that you select "cordless" or "wand" control in the options area when ordering. Cordless window shades and blinds are child safe and are easier to operate for those folks may have disabilities and have trouble gripping cords or chain controls. We also offer a full line of Cordless Shades here.